In the week’s leading up to Valentine’s Day, we really emphasize our boudoir portrait sessions. Which makes sense, gifting a boudoir image on Valentine’s Day is unique, personal and timeless. The imagery is in our email campaigns, social posts, and splashed all over our website. This is hands down our busiest time of the year when it comes to ladies in lingerie. But what if boudoir is not your “thing”? What if you’re not quite “there” yet in the relationship? You’re in luck! 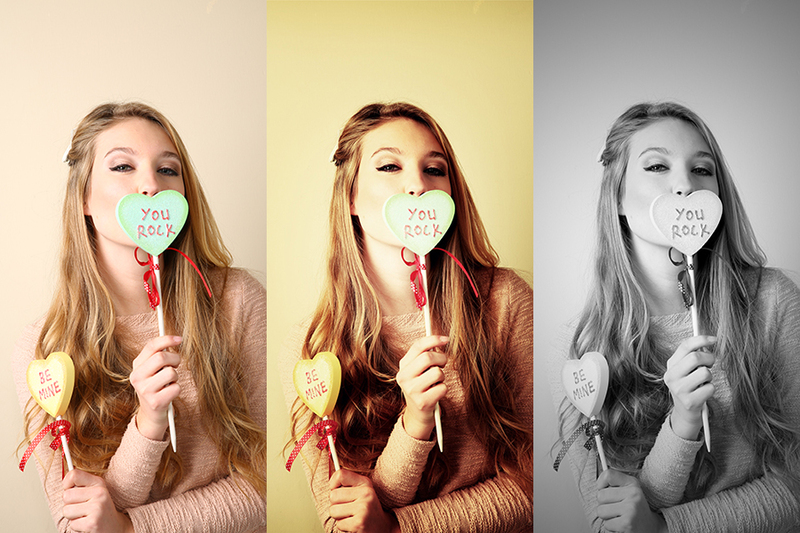 Below are 3 portrait session types to jog inspiration in this heart shape filled season. Plus, 1 additional idea for the kids! Valentine’s Day is synonymous with all things red, candied and covered in hearts. Take a trip down memory lane with over-sized candy hearts that you can find, along with other great props, at the local craft store. It’s goofy, but so much fun! Your photographer will appreciate a light-hearted giggle in their day! Screaming Valentine’s Day in every picture is not always necessary. Keep with the theme by adding a hint of red. The color red has a huge impact on our emotions, our perceptions, and our spiritual and physical well being. It is the color of passion, enthusiasm, adventure and confidence. 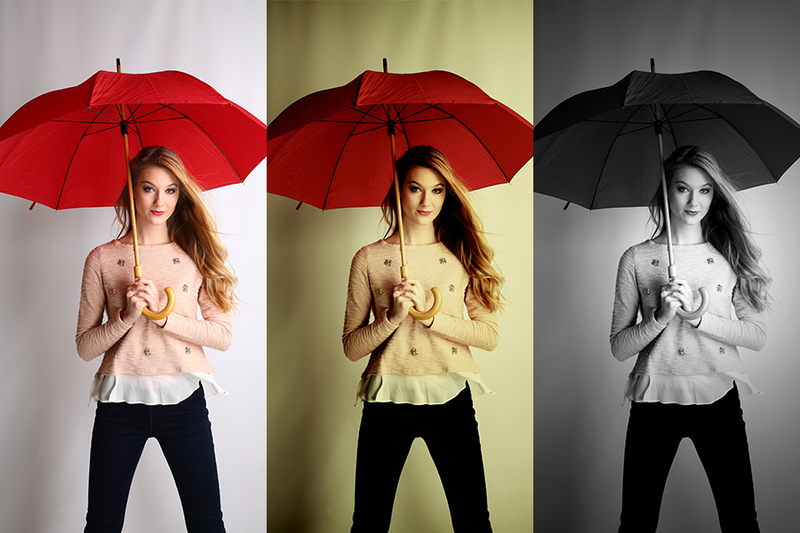 We love this dramatic pose with a red umbrella. However, if you’re superstitious we suggest keeping the umbrella closed in studio at all times. These are my favorite types of portraits. Portraits of women in beautiful sequined and silk gowns, polished waves, and sultry red lipstick to top off the look is really what Glamour Shots does best. It is not every day we dress up and feel glamorous. What a treat! Honestly, the ideas for kid’s Valentine’s themed photo shoots are endless. This portrait sticks out to me as being timeless. 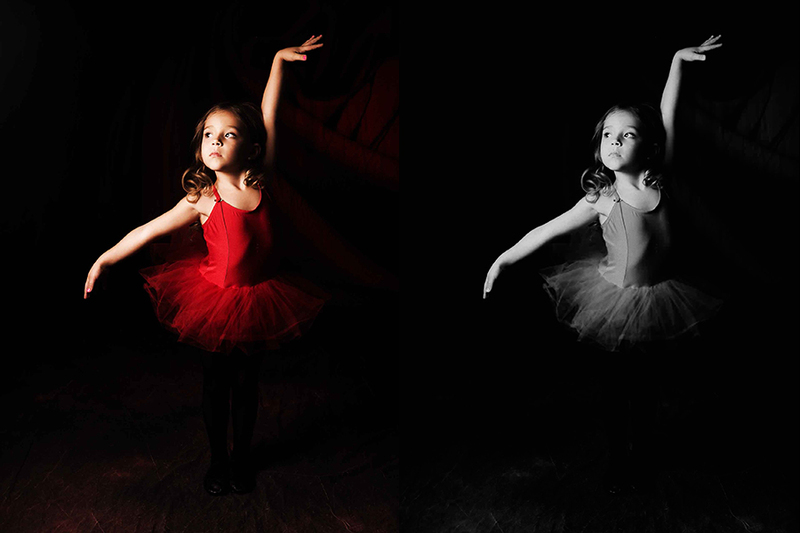 It shows this little gal’s interest but holds true to the theme with a red leotard and tutu. A portrait any grandparent would love to receive from their little Valentine and proudly display throughout the year. 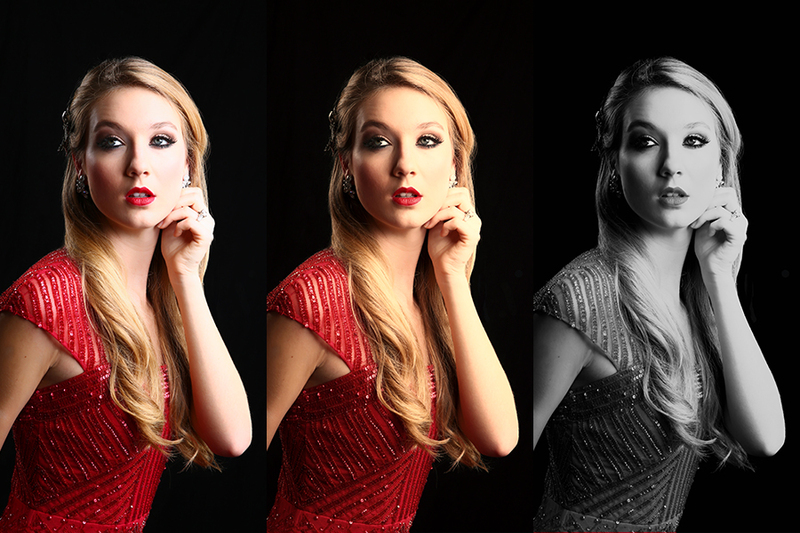 As always, head over to our Store Locator page to find a Glamour Shots studio near you! We can’t wait to see what ideas you’ll bring to your next portrait session.